Wow! Yet another year. It’s interesting how time passes by and I find myself surprised when another year arrives. And yet, the new year heralds new opportunities, and holds within it the wonders of what is to come. I have learnt much from 2013 and in the last letter of 2013 that I wrote to my subscribers, I listed some of the lessons I’ve taken on board. Whilst I find it useful to do that, I also know that it is equally important to have a vision for the future. Hmmmm … that made me think! I never really thought about that at all. I happily go through life doing what I love doing and never once do I consider what I stand for. However, the twists and turns of life have led to me have a clearer picture of what I am about and what I stand for; and you know what … by doing so, it gives you direction and purpose, and it makes setting your intentions for the year ahead so much easier. My intentions for 2014 is that I wish for a tribe of people who think and believe as I do and will, in their own way, or with me, go forth and create a better world. A world where people care deeply for others and still respect themselves enough to apply the same care and love to themselves. I will continue to explore yoga teachings, Buddhism and an ethical Vegan lifestyle. Empty your cup … have a good clear out! In order for life to flow more freely into your heart, you must first empty your cup, and I find listing the lessons I’ve learnt from the previous year a good place to start. I’ve also done some de-cluttering around the house and taking stuff I no longer need to the homeless shelter and other charities. Chinese New Year is on January 29th. One of the traditions is that you’re not allowed to clean your house on Chinese New Year or you will sweep your good fortune out the door! So, get cleaning and de-cluttering now!! Make space for your visions, dreams and your heart’s desires. Once you have emptied your cup, you can go about filling it up. 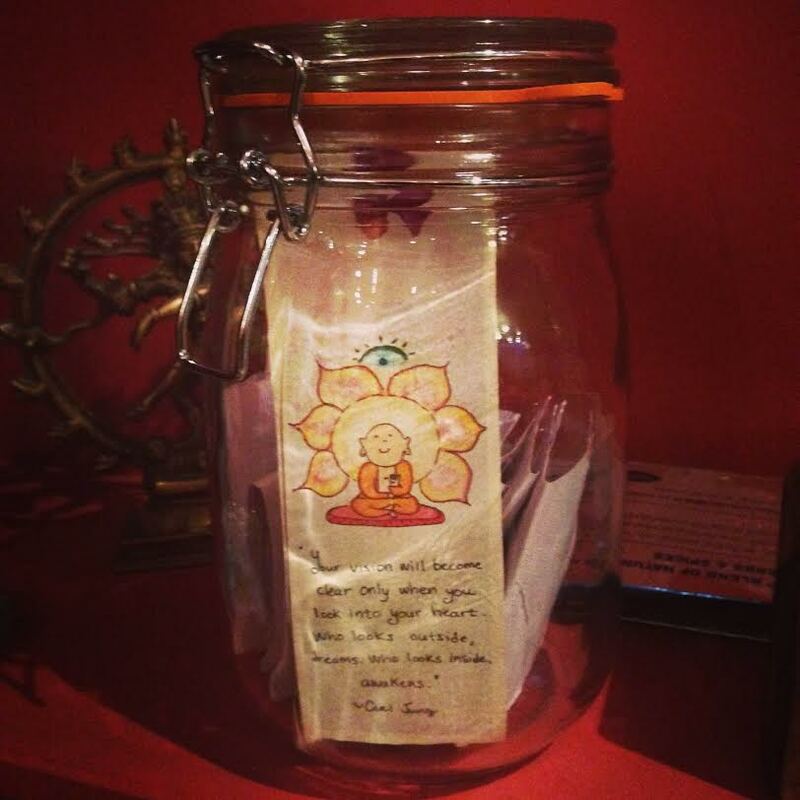 To help with the process, I have created a vision jar as well as a gratitude jar. My vision jar is filled with what I will attract into my life this year. 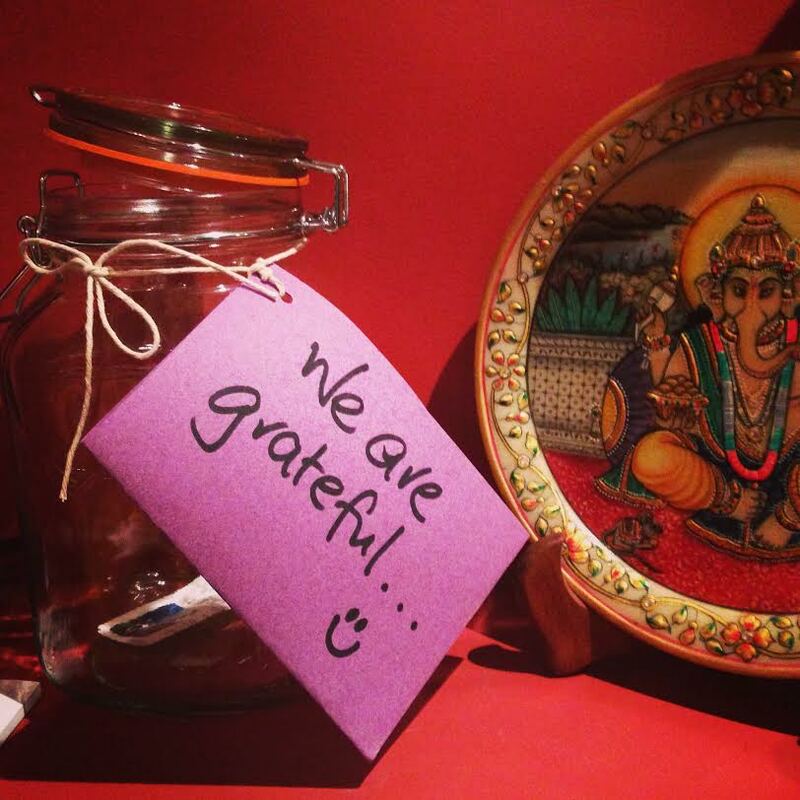 My gratitude jar will be filled what things that I am thankful for this year. What will you clear out before Chinese New Year? 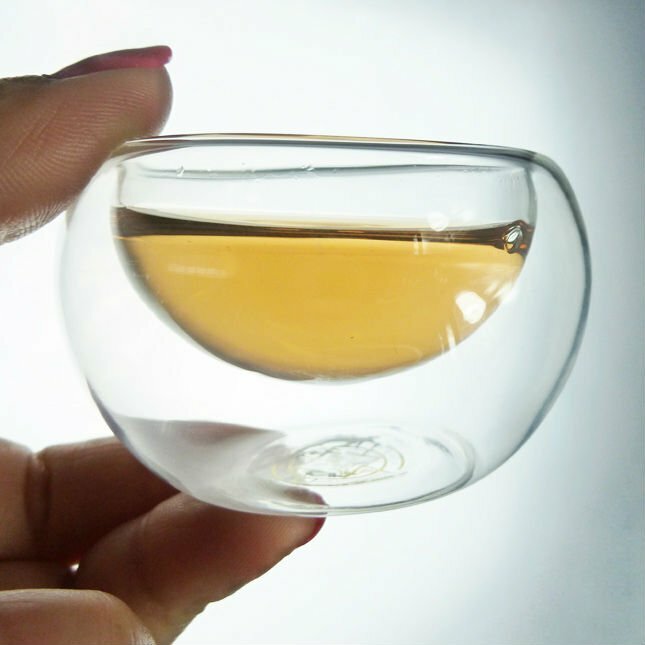 What will you fill your cup this year? If you truly love yourself, you’ll easily love another. If you truly love yourself, you’ll never harm another.